Typically used to deter use by pedestrians, bicycles or vehicle over-run. 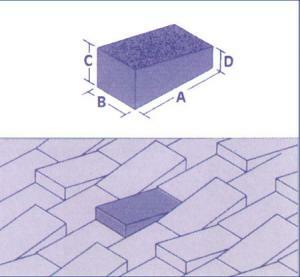 Deterrent pavers and standard pavers are often laid in alternative rows as shown here. They should be laid mindful of the likelihood of over-run. In long rigid runs movement joints are required typically at 6m centres. Other deterrent pavers can be manufactured on request.